The following notice was sent to people on the “meteorite-list.” It indicates new owners of the Berthoud meteorite and a desire to sell at lease a piece of it. 96 feet away from Megan Whiteis moments after she stepped out of her house. vegetable garden. A short walk to the site produced this amazing achondrite. classification and thin sectioning there is only a 900 gram mass remaining. 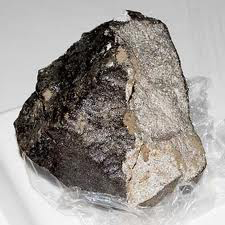 Attached are a couple of links to Berthoud meteorite information.